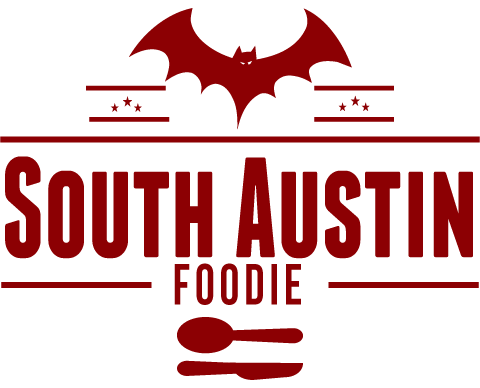 -- Tonight (June 3) is the Austin Food for Life Seasonal Tomato Dinner at Springdale Farms, six courses, $100/person, with food from the chefs of Swift's Attic, Glass-2-Plate Catering and Cafe Josie. -- La Condesa is kicking off their Tequila Dinner Summer Series on Tuesday, June 4 at 6 pm, with the Ocho Tequila Pairing Dinner, which will feature a 5-course menu created by Chef Rene Ortiz. $100/person, tickets can be purchased here. -- Amy's Ice Creams annual Trick Olympics will be June 5 at 7 pm at the 6th & Lamar location; bring a chair and go watch! Benefits CASA of Travis County. -- One of my favorite places in Austin (or on the edges of town, I should say!) and one of the area's best kept secrets is Travaasa Spa. They have added a 10 acre farm, with 3.5 acres for row crops, along with 100 chickens. 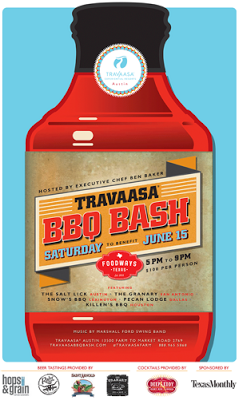 Calling it the Farm at Travaasa, they are kicking it off with a BBQ Bash on June 15th, featuring some of the best BBQ purveyors in the state! $100/person, should be an incredible evening! -- Texas Tiki Week is coming, beginning June 23rd; drink.well will have a variety of events happening at their place. -- Picnik Austin has taken over the old La Boite trailer/ box container at 1700 S. Lamar; they are "paleo, primal, gluten-free and grain-free." -- The Spicewood restaurant It's All Good BBQ has opened a trailer at South First and Live Oak in the SoFi Food Court. -- Contigo is changing their Sunday hours, and will now close at 2:30 pm after brunch. -- The Dallas-based chain Uncle Julio's will open it's 17th location at 301 Brazos Street downtown, From their press release: “Since opening our first restaurant in Dallas in 1986, we have prided ourselves in providing the freshest and highest quality Mexican food in a fun and warm setting. We look forward to sharing our signature dishes and drinks with Austin residents.” Their space will have different seating areas that will accommodate 400 guests. -- Jodi Elliot of Foreign and Domestic will open her own bake shop in the next year; location to be determined. Oh those Gruyere popovers! -- Two new food trailer parks: South Lamar and Bluebonnet (photo by yours truly!) and on Lakeshore Blvd. along Lady Bird Lake, east of IH-35. -- Noble Pig, er, Noble Sandwich Co. is adding a second location, at 49th and Burnet Road; while I wish they were coming to South ATX, this sure beats a drive to Cedar Park! :) I think they will always be Noble PIG to me! -- Faraday's Kitchen Store has reopened in a bigger spot at the Shops at the Galleria. 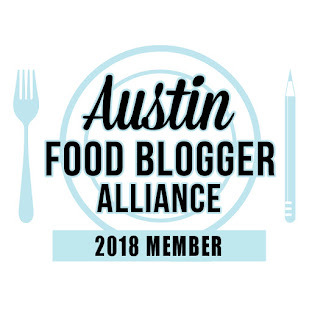 -- Confirming what most of us in Austin already know, Bon Appetit magazine has named Central Market one of the top grocery stores in the country. -- I received a press release on the new Goodbee's Honey which is an affordable raw honey now exclusively in HEB's throughout the state. And it's sourced from Argentina. At least they're not claiming it to be local honey, though it IS packaged up in Round Rock.